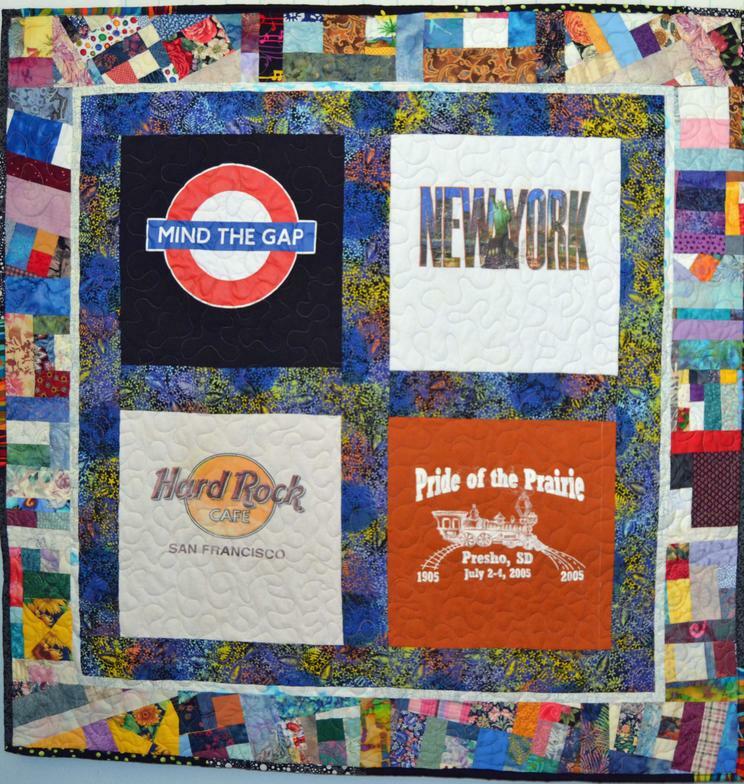 T-shirt quilts made to order using your favorite t-shirts from your travels, sports teams or events. These quilts are terrific for throws, wall hangings, bed covers or stadium covers. The pictured quilt is a sample and not for sale. 9 T-shirt blocks 53" x 61"
12 T-shirt blocks 61" x 78"
16 T-shirt blocks 78" x 78"
20 T-shirt blocks 78" x 95"
24 T-shirt blocks 95" x 95"
30 T-shirt blocks 95" x 112"
to the quilt convo me with your request.